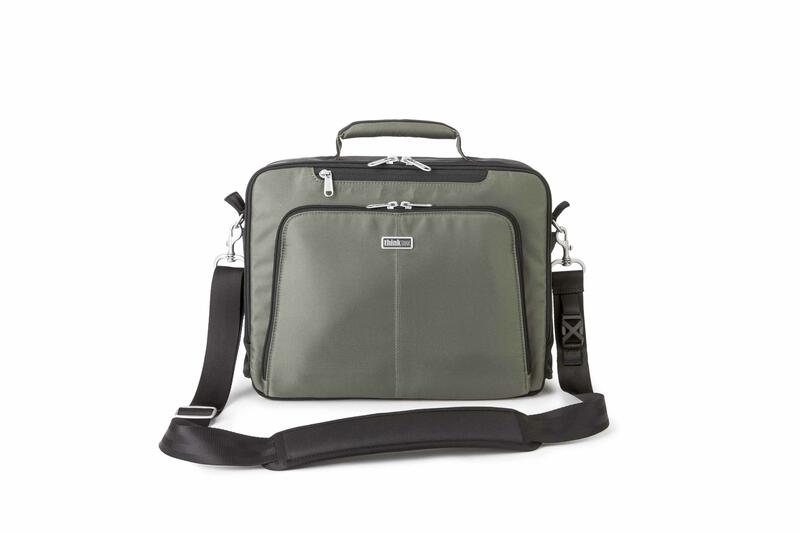 The My 2nd Brain Briefcase 13L (Mist Green) is a “mobile office” for Apple power-users fits any 13” MacBook®, iPad® , iPhone®, support accessories, books, folios and more. It stands out for its intuitive organisation. It provides rapid access to a 13” MacBook Pro or a 13” MacBook Air, iPad (standard or mini) and iPhone in dedicated pockets, along with support accessories in easily identifiable pockets. You can even carry over-ear headphones as well as a journal, sketchbook and files for complete creative consolidation. The travel-ready design includes 2 compressible pockets for water bottles or a compact umbrella, as well as a pass-through handle that slides over a rolling luggage handle. It comes with its own seam-sealed rain cover for extra protection against downpours. The My 2nd Brain Briefcase improves the workflow for tech-focused travellers and creative professionals by helping to balance the demands of the dual creative / digital lifestyle. Fits a 13” Macbook Pro or 13” MacBook Air, iPad (standard or mini), iPhone, over-ear headphones, a power brick with AC cable, portable hard drives, USB hub, USB connection cable, earbuds, monitor adapters, network cable, USB drives, SD/CF cards, pens, business cards, folders, sketchbooks and other personal items. The 2 compressible side pockets fit water bottles or a compact umbrella and a large sunglasses case.